Moss is something that every lawn will have to deal with at some point. Moss will manifest itself and choke out healthy grasses, as well as starving the grass plant of the all-important nutrients applied through fertiliser. There are various reasons for the build-up of moss in a lawn, but very damp and shaded areas are at most risk and combined with limited hours of daylight and increased rainfall during the winter months, the ideal conditions are produced for moss to develop and take over the lawn. Aerating the lawn before the application of fertiliser will allow the nutrients to enter the soil profile more readily, reaching the grass roots which will give you the healthiest of lawns while reducing the chances of disease. 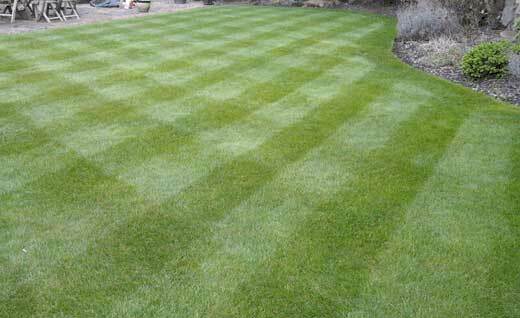 If your lawn has not yet had any form of aeration this year, then I would strongly recommend that you do consider having it completed, as this most under rated of treatments is vitally important to the quality of your lawn. 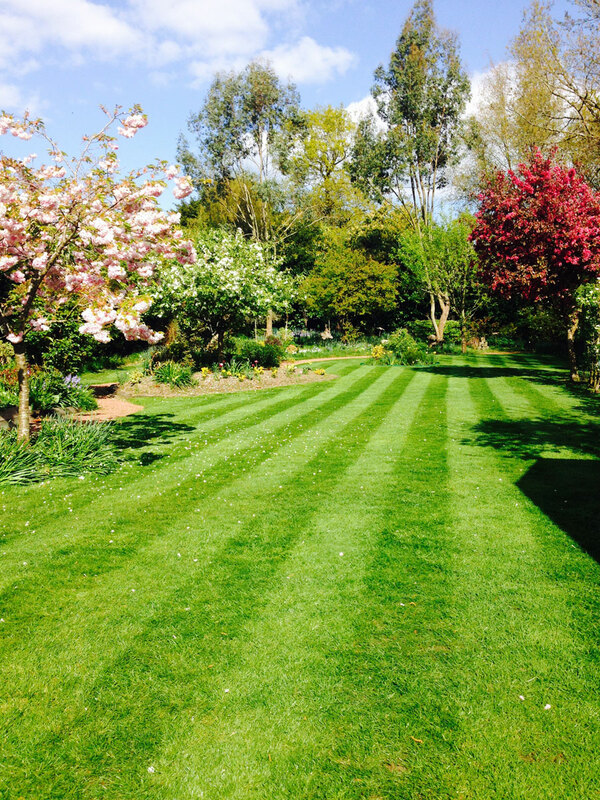 TruGreen Sussex are your local professional lawn care specialist offering lawn care across the Sussex area. We are part of the world’s largest and most successful lawn care company which has over 30 years business experience in the UK and USA. 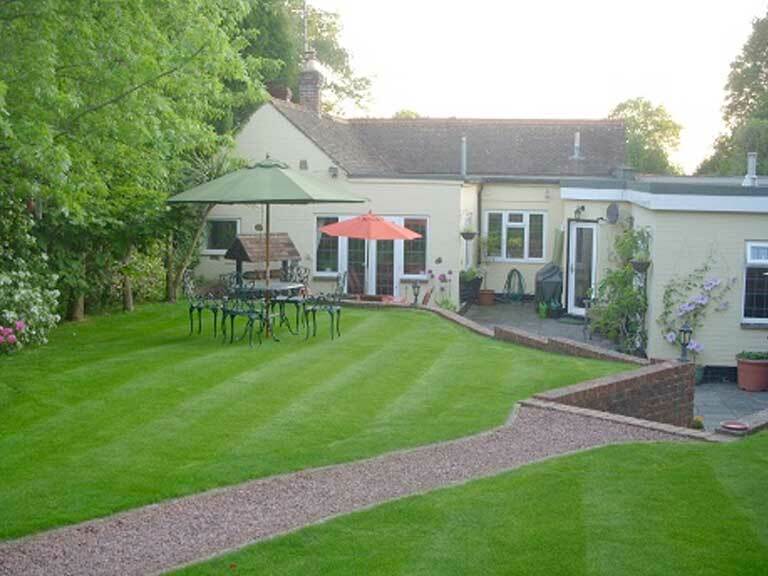 We offer a range of services to help improve the condition of your lawn using a customised series of treatments. Why choose us to provide your Lawn Care Services? 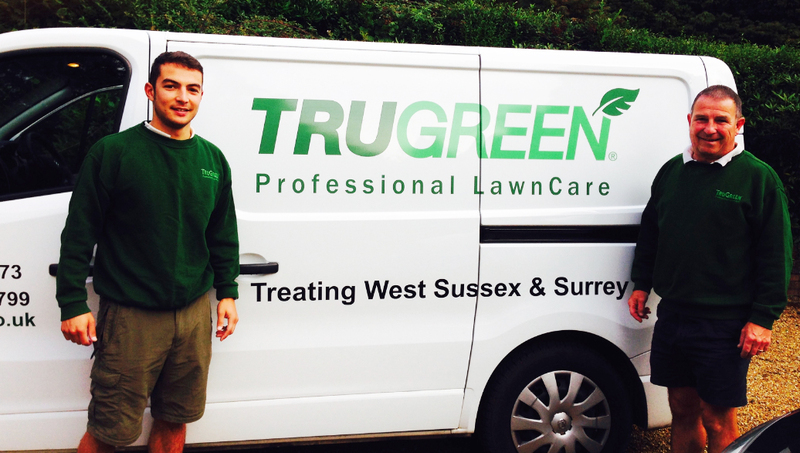 Established in 2005, TruGreen Sussex is a family business run by Simon Grout and his son Ryan. So that we can cater to each customers’ individual needs we design a service plan specifically with the customers’ lawn in mind. We enjoy nothing more than working hard and treating customers’ lawns to make them look the best they can throughout the year, whatever the weather! Based in West Chiltington, TruGreen Sussex is centrally located in the area and can meet all our customers needs quickly and efficiently. 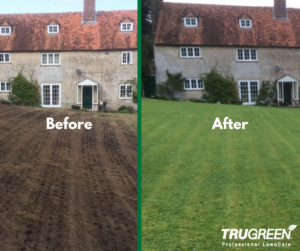 Here at Trugreen Sussex we pride ourselves on ensuring that we are able to offer our customers the most appropriate customised service for their lawns. 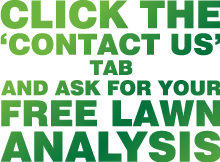 We evaluate your lawn’s overall health and provide you with a detailed report so we can provide a lawncare system that is suitable for you and your garden. 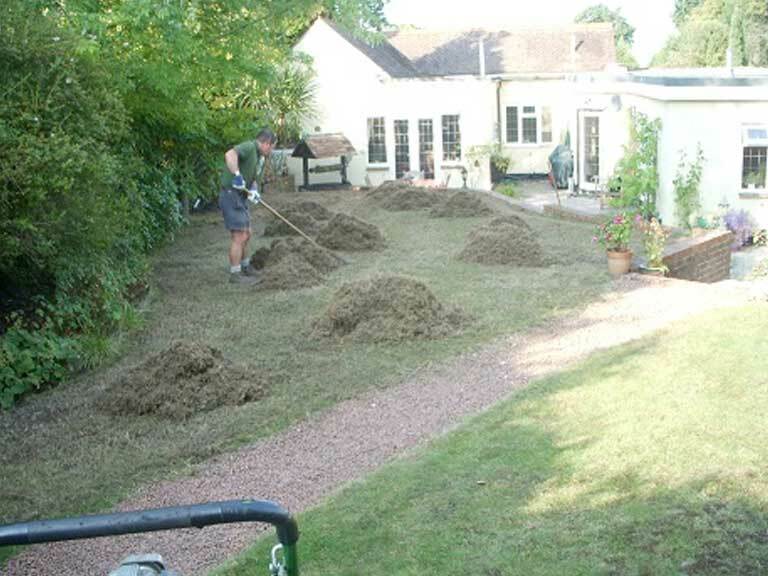 Scarification is a mechanical operation which helps to remove all unwanted organic matter from around the base of the grass plant (thatch) and tidy up any straggly lateral growth from your lawn. The process will also remove moss that will otherwise choke the grass plant and restrict growth. Aeration involves piercing the lawn to allow water, oxygen, fertilisers and other nutrients to penetrate the soil more effectively and reach the grass roots. There are two main types of aeration that are a benefit to the lawn. Solid tine aeration, which aids the development of the grass plant, and hollow core aeration which facilitates the application of a top dressing and improves drainage. TruGreen have specialised equipment which plants the seed at the correct depth, enabling the seed to germinate quicker and more successfully. Moss is something that every lawn will have to deal with at one time or another. Moss will manifest itself as a non flowering plant and will choke the grass, as well as starving it of the required nutrients. There are various reasons for the build up of moss in a lawn, but very damp and shaded areas are at most risk. There are a number of grass pests that are common in the UK. A grass pest is a creature that lives within the grass and feeds on the grass plant. Many grass pests feed on the root of the plant which causes a rapid deterioration in the condition of your lawn, causing large areas of discoloured grass and potentially a dead lawn. The development of most diseases are usually dependent upon weather conditions, so recent weather conditions are to be considered during any diagnosis. Most diseases will have certain characteristics such as discolouration of the grasses, brown, dry patches or signs of fungi (mushroom type growth). Grass plants needs nutrition, and absorb their nutrients through their root system therefore a good soil rich in nutrients is essential for a healthy lawn. Fertilisation is a lawn treatment that provides, or supplements, the natural nutrients needed to become a healthy lawn. As well as residential customers we also offer our services to commercial clients including property management companies, Garden Centres, landscapers, architects, property developer, gardeners and bowling greens. As well as residential customers we also offer our services to commercial clients including property management companies, Garden Centres, landscapers, architects, property developers and gardeners. We also work with residents committees and residents associations. Our services are available throughout Surrey and Sussex. 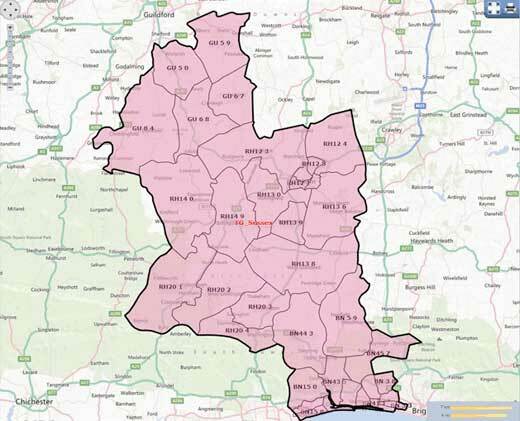 Areas include: Cranleigh, Bramley, Wonersh, Shamley Green, Horsham, Henfield, Mannings Heath, Southwater, Steyning, Storrington and West Chiltington. 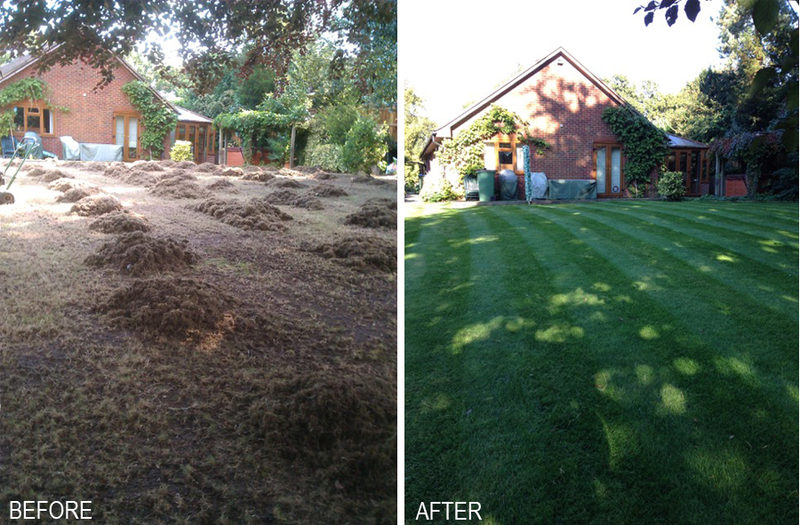 If you are unsure if we provide lawncare services in your area, please do not hesitate to contact us on 01798 817273. Results after one week using Stressbuster! Stressbuster is a specially formulated liquid treatment to help condition the turf against stress and also aid recovery, especially during warm dry spells, and will greatly benefit the lawn condition when applied in conjunction with a granular fertiliser, as it assists in releasing nutrients that are vital in keeping the plant green and healthy. Stressbuster contains a unique combination of nutrients, a wetting agent to allow for moisture to be retained in the soil for longer, encouraging stronger roots and healthy growth, plus an iron content which is specifically included to provide an instant colour response, maintaining the lawn quality and appearance. With the unprecedented amount of rainfall, it has produced an excessive amount of damp which has allowed for moss to invade many lawns across the UK. Moss is something that every lawn has and will have to deal with at one time or another. Moss will manifest itself on healthy grasses and choke the plant, as well as starving the grass plant of the all-important nutrients applied through fertiliser. There are a number of reasons for the build-up of moss in a lawn, but very damp and shaded areas are at most risk and combined with shorter hours of daylight during the winter months, the ideal conditions are produced for moss to develop. Moss loves to grow in poor conditions and will thrive where other plants struggle, taking over their space. It is most common on compacted soil, where you can experience poor drainage, is suited to low fertility, common in the early spring, and where grass has been mown too closely the previous year. 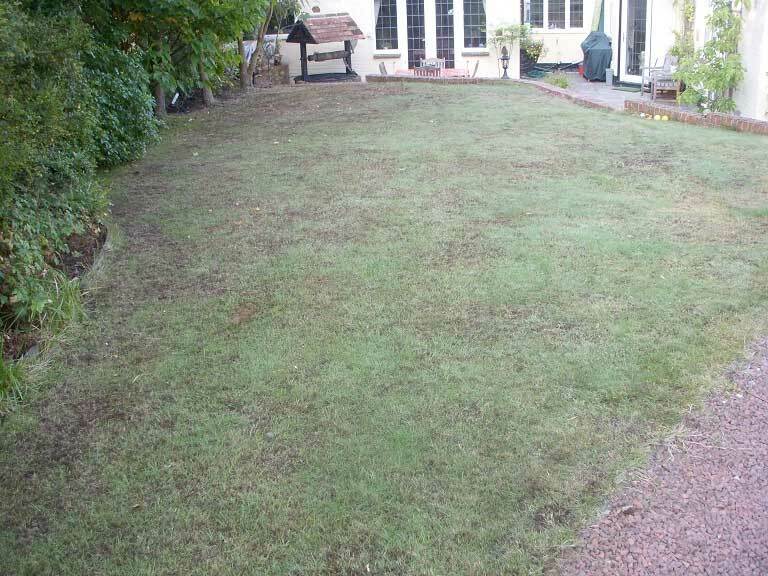 Once it’s established it will quickly spread, appearing as an unwanted and unsightly addition to a lawn. The application of a quality commercial product, based on sulphate of iron, followed by a programme of scarification will keep the moss at bay and allow for the grasses to grow and thicken. 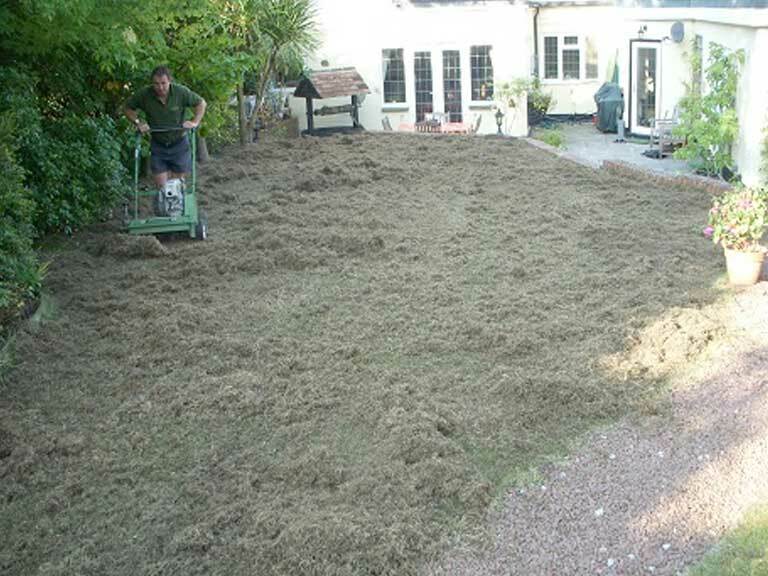 Scarification will also reduce the thatch layer which if left to build-up will become an ideal growing medium for the further development of mosses. Aeration will further improve the ground conditions, removing unnecessary moisture and minimising the chances of moss returning. 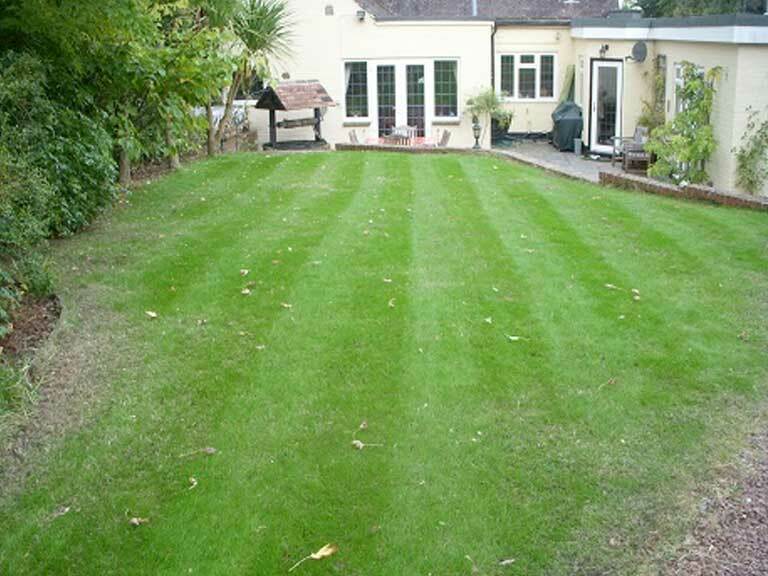 By visiting your lawn regularly your TruGreen Sussex lawn care expert will identify problems whilst they are still small and treat them before they cause serious damage. 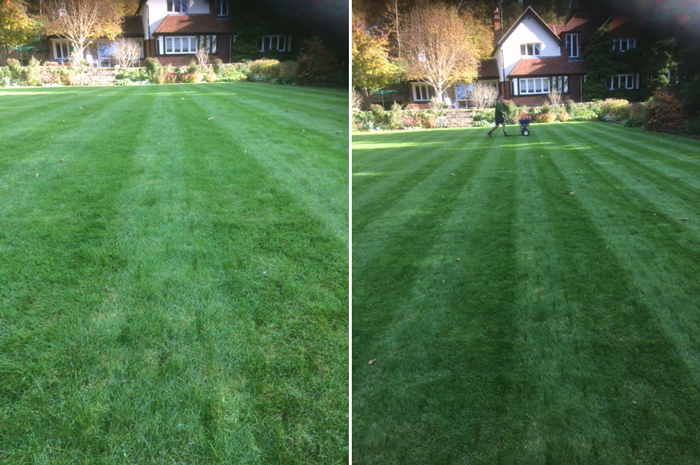 Our extensive experience has shown that a lawn thrives after regular moss treatment and scarification and because we operate a bespoke system, we can customise the treatments to the specific needs of your lawn. So do not wait for a moss disaster to happen, spring into action and call your local TruGreen Sussex lawn expert today. You too can have a perfect lawn with these tips from the TruGreen experts. Here’s what you need to do to your lawn and when over certain periods of the year. Good Autumn lawn care will prepare your lawn for the Winter. When maintaining lawn quality and health, it is crucial to apply the correct autumn fertiliser. Controlling the level of potassium will raise the turf’s tolerance to disease, wear and soft growth as well as helping it to withstand low temperature during the winter months. If all of this goes straight over your head, call TruGreen Sussex today on 01798 817 273 for a FREE, no-obligation quote and let us do the hard work! Where did you hear about TruGreen?